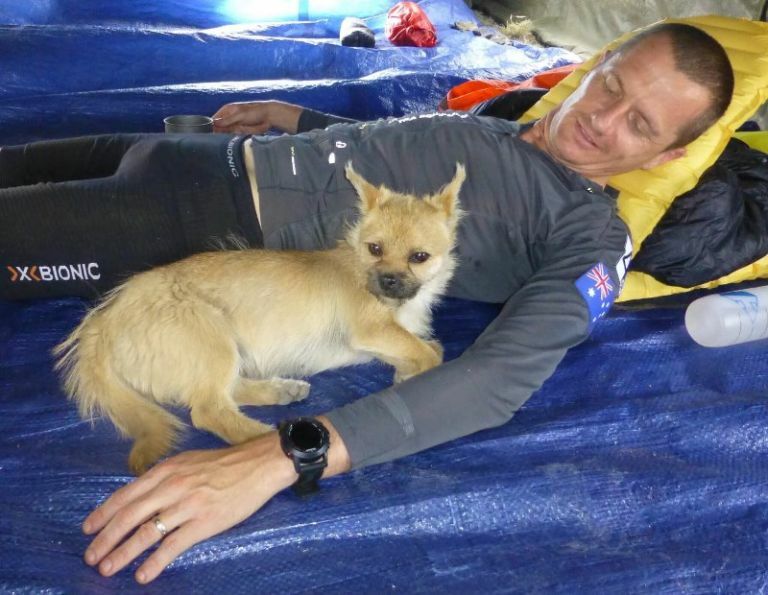 A scrappy little dog showed up at the start of an extreme marathon, and ran right into Dion Leonard’s heart. Edinburgh-based marathoner Leonard met his new pal near the beginning of the Gobi March, a gruelling 250-kilometre trek across China. The pup, who Leonard appropriately nicknamed Gobi, followed his new friend throughout the gruelling run. During the hot days, Leonard would feed his new companion beef jerky and water from his canteen; at night, the dog would snuggle up next to him in the campsite. After running for more than seven days in the scorching hot desert, the pair crossed the finish line together, winning second place. Leonard was so smitten with his new best friend, that he started “Bring Gobi Home” on Crowdfunder in order to raise money to bring him home to Scotland. Due to the little dog’s undeniable cuteness, Leonard has already raised more than three times the $6,535 required for medical and quarantine expenses to bring Gobi home. Leonard says the extra money will be donated to dog shelters. Now, the Leonard family is eagerly awaiting for their they are currently adoption paperwork to go through so that little Gobi can join the family. They expect to have their new family member home just in time for Christmas. Talk about an amazing Christmas present!